It’s that time of year again. 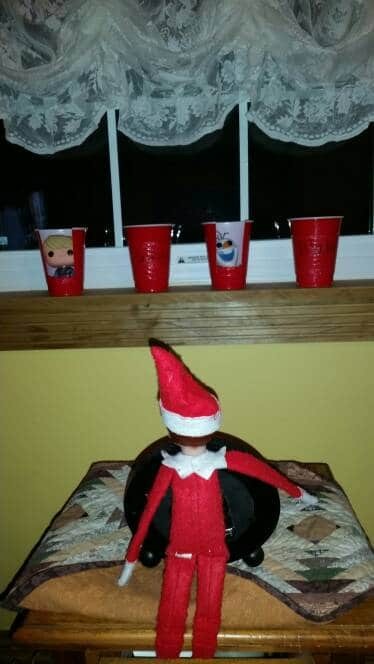 Is Chippy, Snowflake, Buddy or Suzie the elf returning to your house? 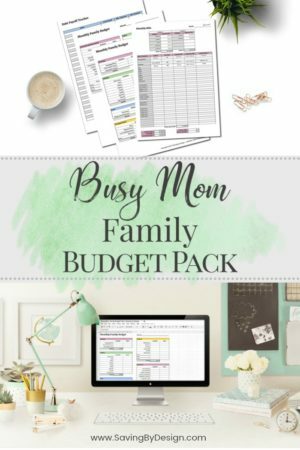 After awhile it gets difficult to think of ideas but we are here to help. 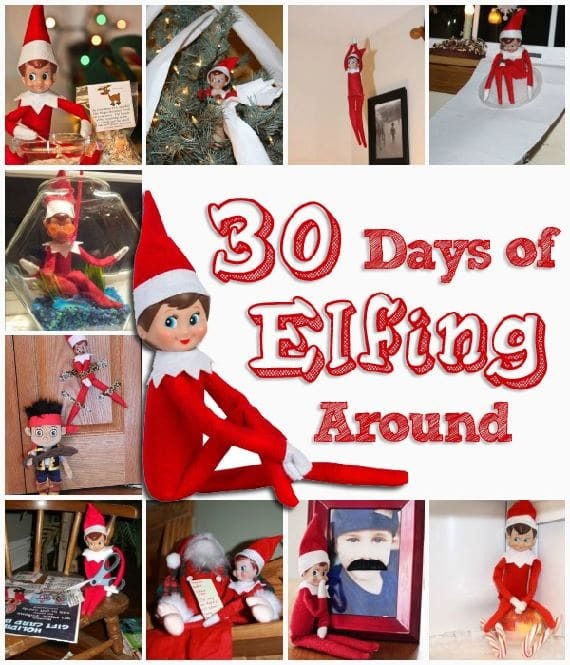 In addition to last year’s 30 Days of Elfing Around, here are 20 More Days of Elfing Around! 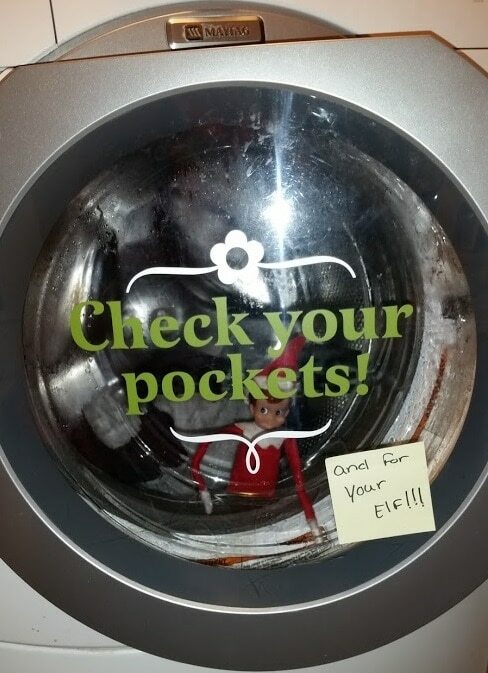 Will your elf be arriving soon? 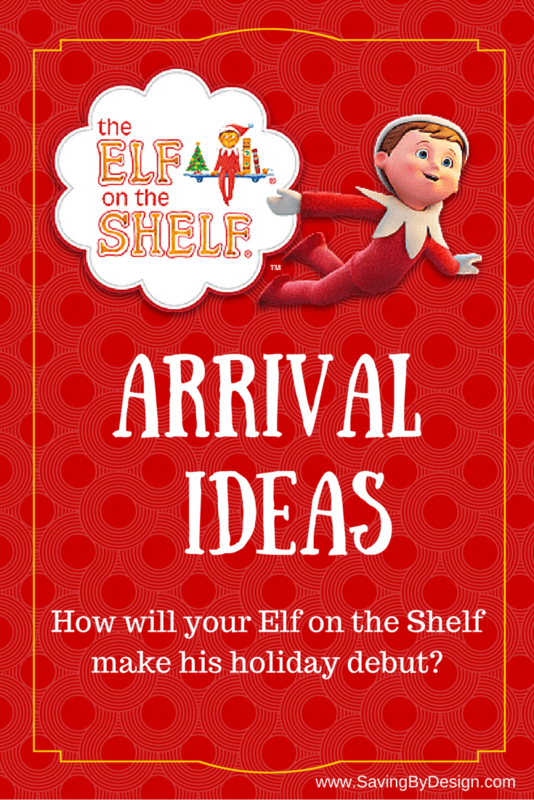 Subscribe to get FREE Elf on the Shelf Printables to help plan your elf's antics! Need coffee to wake up? 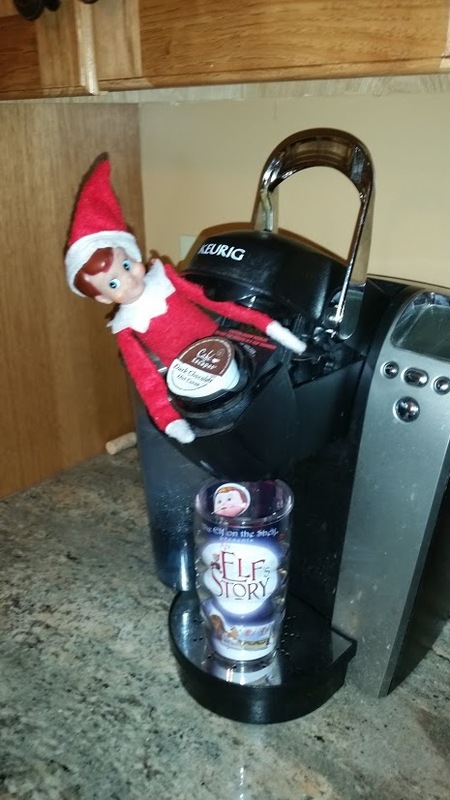 Have your elf prepare your Keurig or coffee pot. 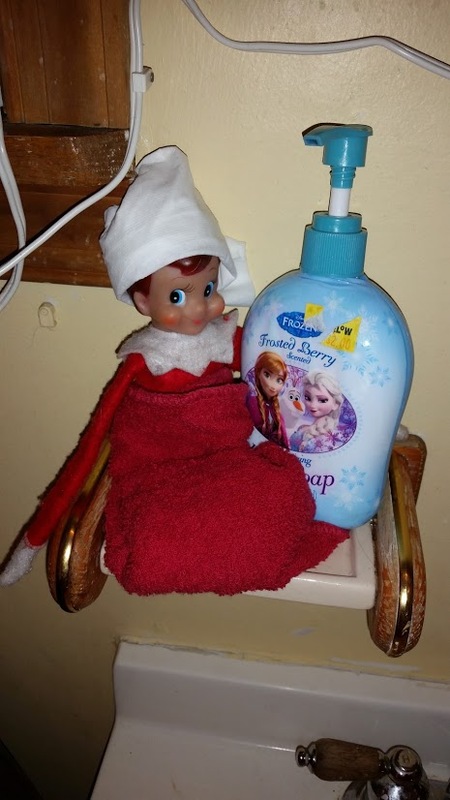 Everyone needs to be pampered. 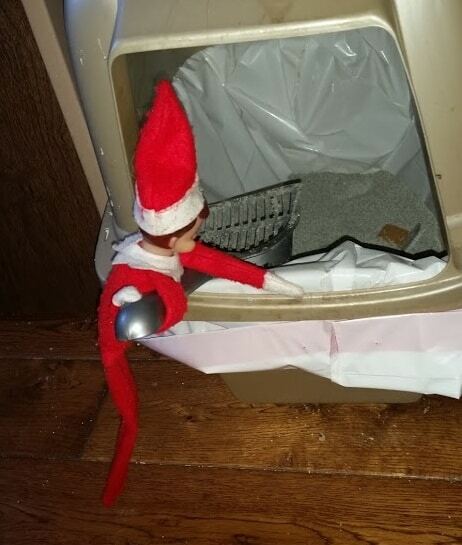 Maybe your elf should take some “me” time after that long flight back to your house. 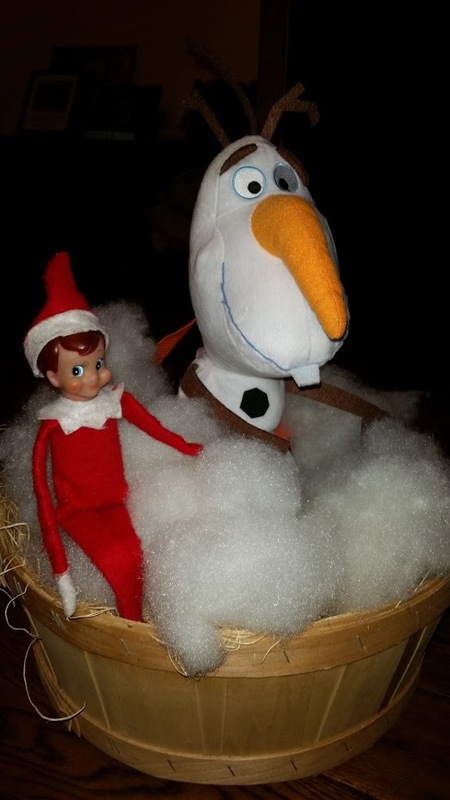 What parent doesn’t need help in the morning? 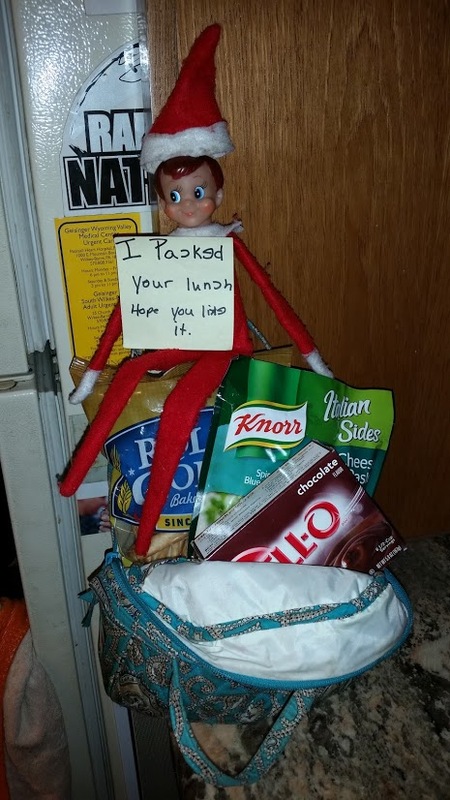 Have your elf pack the kids lunch. Express the importance of reading. 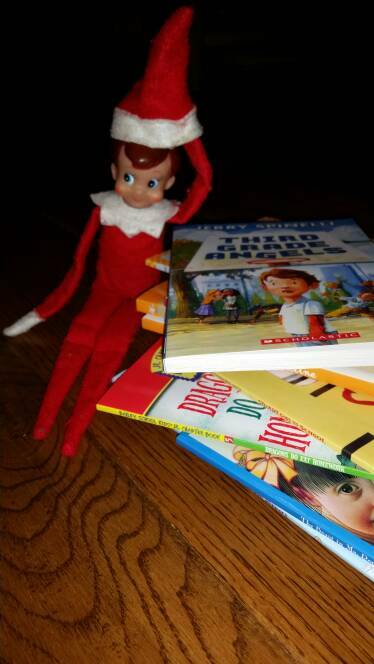 Have your elf bring books each visit or once a week. Stock up with Scholastic books, reader packs, or books for $1. 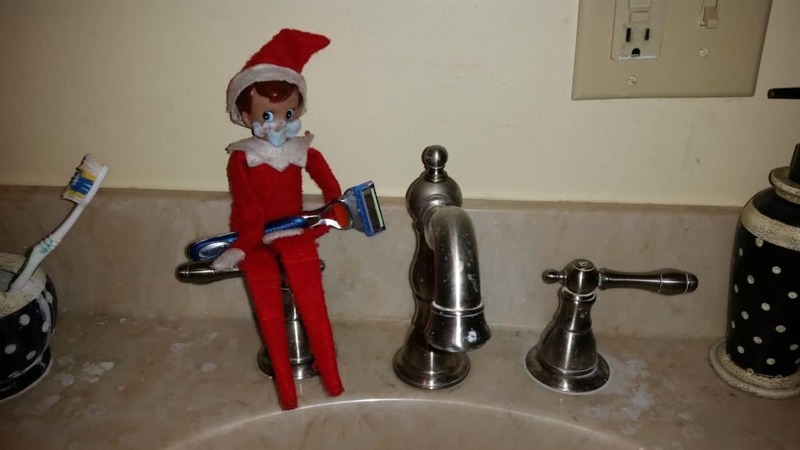 Does your elf need a little Christmas shave? 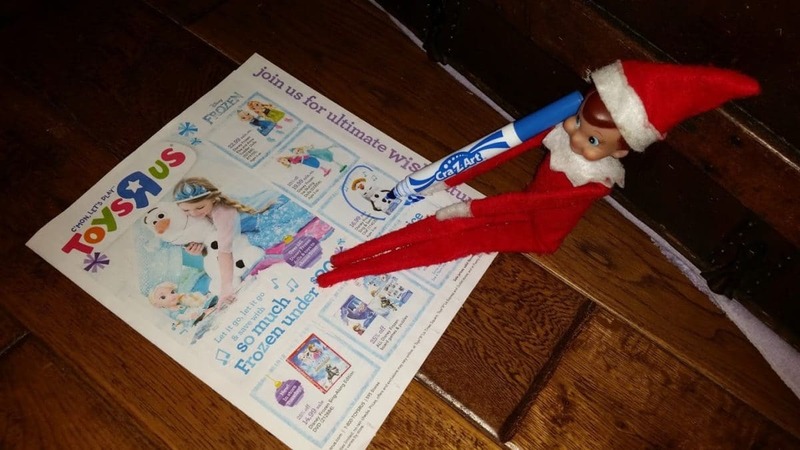 Have your elf make a Christmas list! 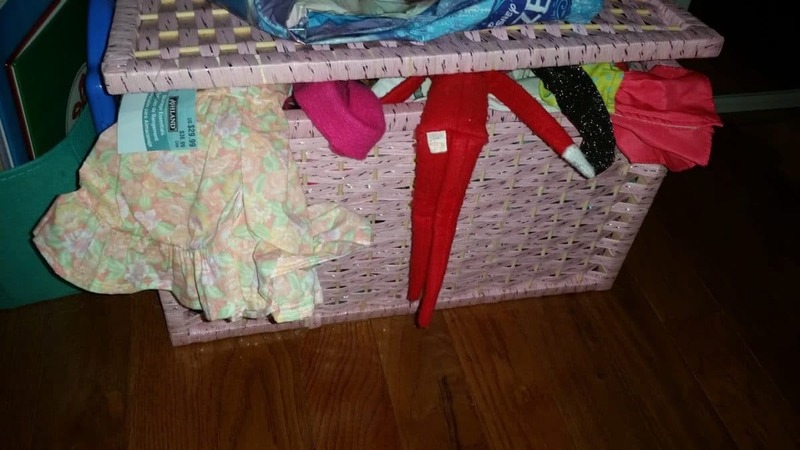 Elf helping with chores and gets stuck! 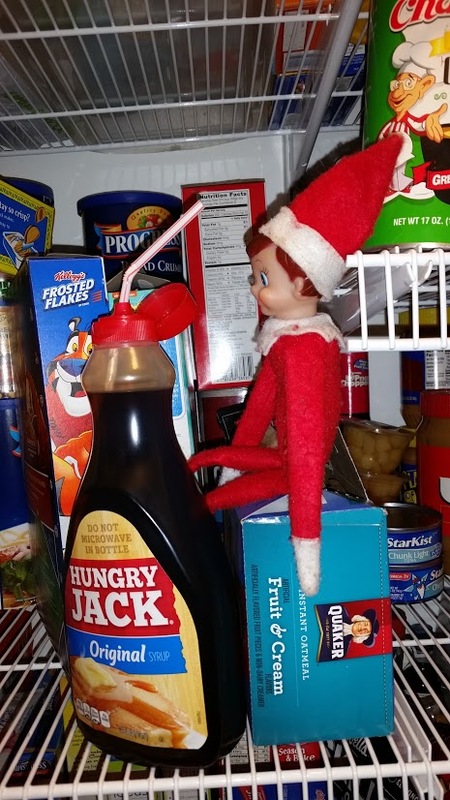 We elves try to stick to the four main food groups: candy, candy canes, candy corns and SYRUP! 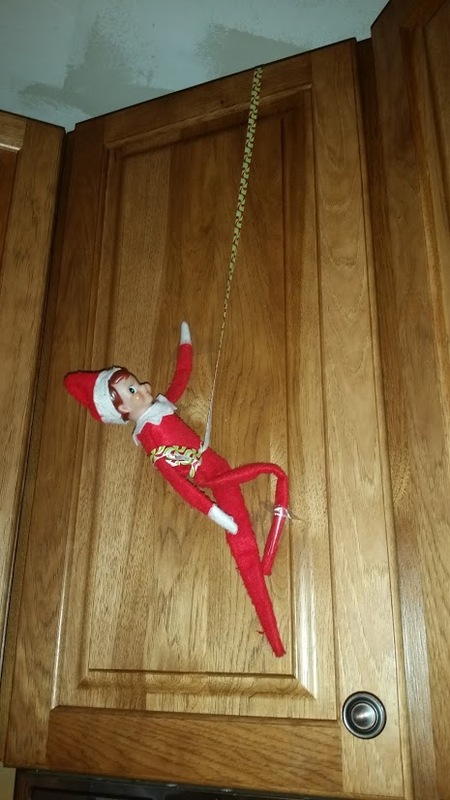 Will your elf move on to the next round on the voice? 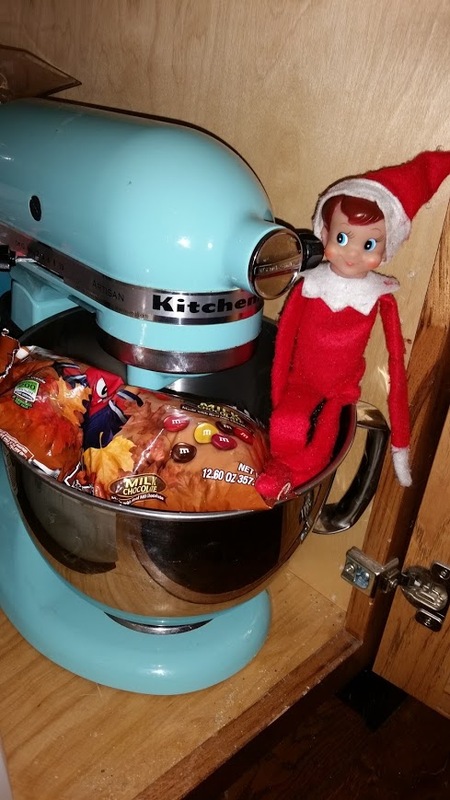 He can’t wait to break out the KitchenAid and make cookies! 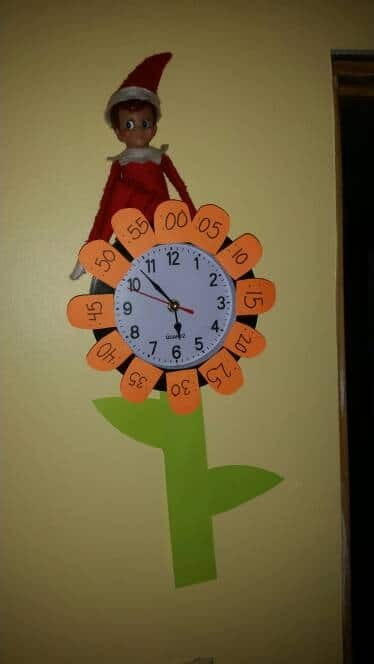 Let me teach you how to tell time! 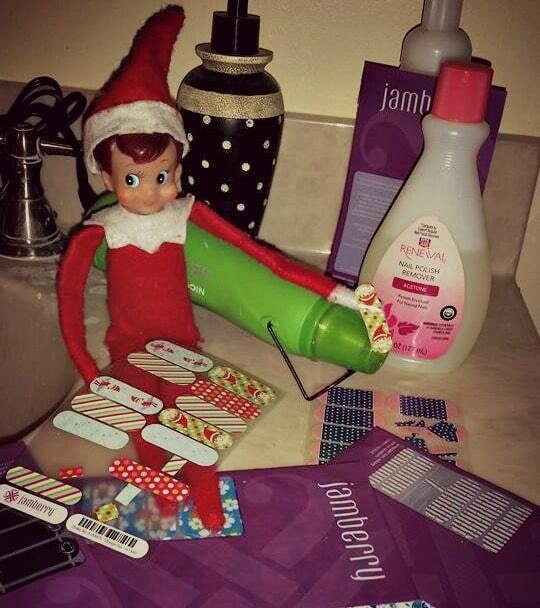 Jammin’ with Jamberry! Get your very own Jamberry nail wraps! In the dog house. 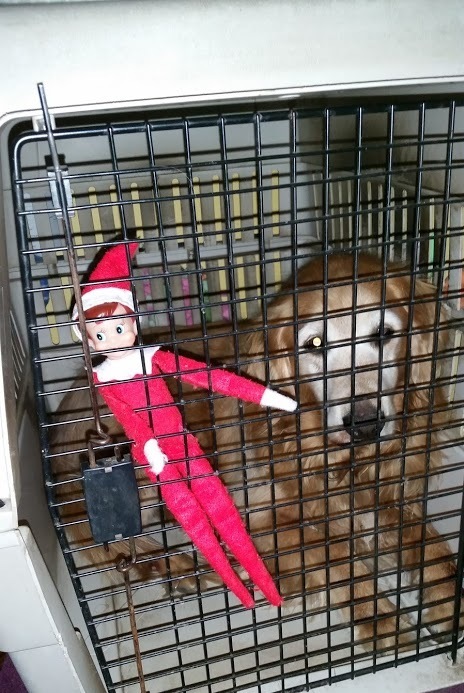 Don’t let him eat me! 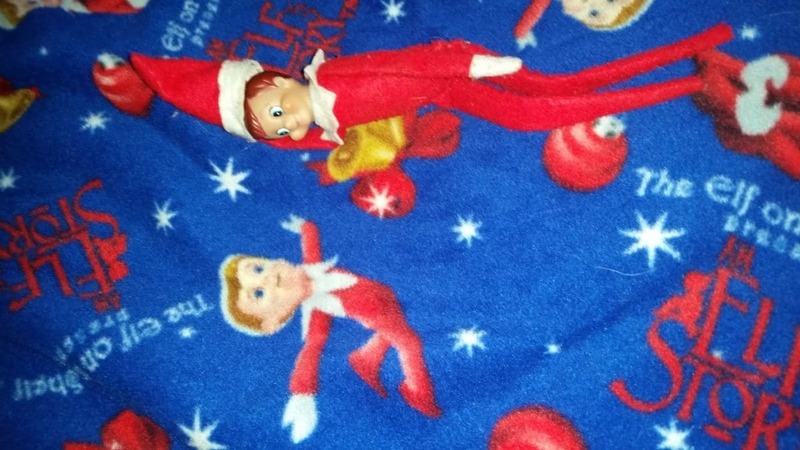 I look good on a blanket. Want to surprise your kids with one? 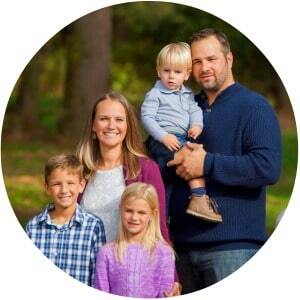 Check out Budzyn Blankets! There is NEVER anything to wear. 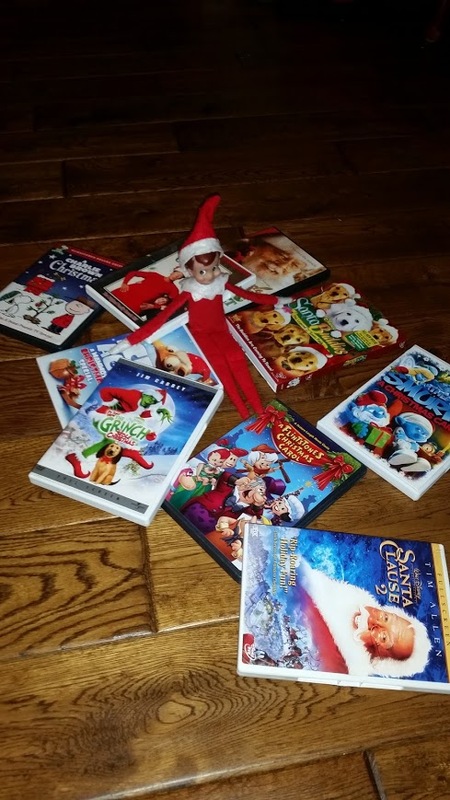 So many movies so little time! We should have a movie night. 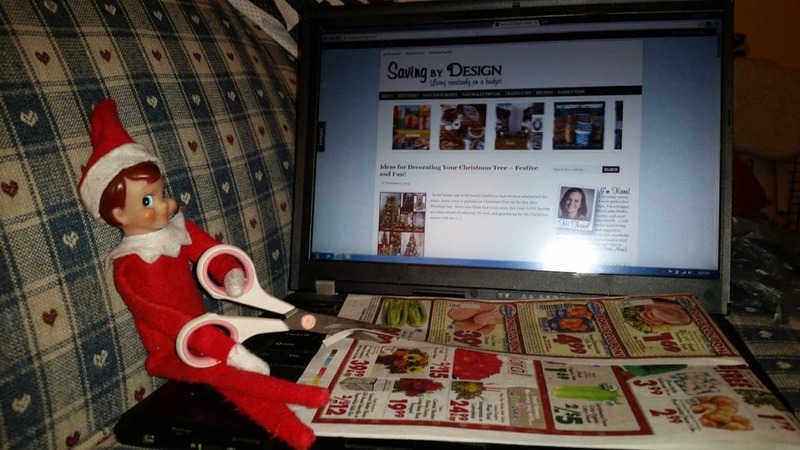 @savingbydesign #ElfingAround on social media!